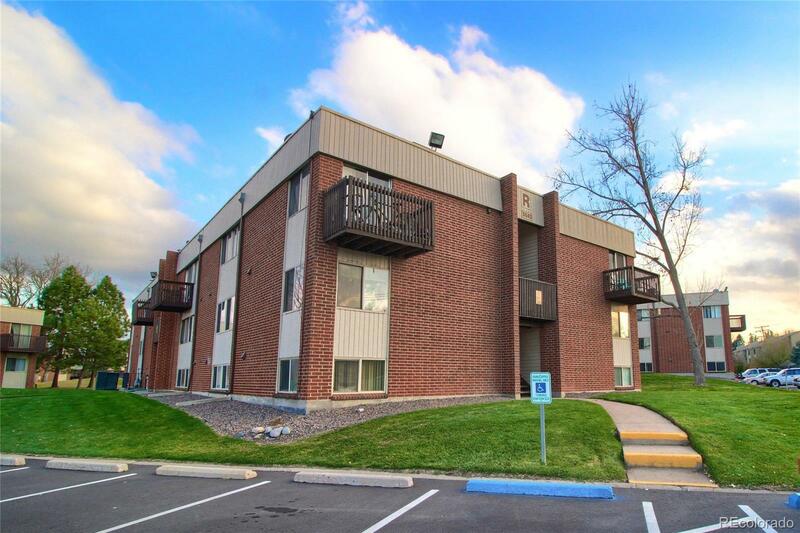 Great 2 bedroom, 1 bath condo in Lakewood on the top floor. Bright unit with living room, dining area and kitchen. 2 bedrooms and full bathroom. Private balcony off of living room. Easy access to Hampden/285 and minutes to River Point restaurants and shops. HOA covers water, heat sewer, trash, exterior with access to community pool, clubhouse and tennis courts. 3 parking permits upon request for unit. You don't want to miss this great opportunity to own in Lakewood!